Gentrification—or, more prosaically, the displacement of longtime residents of color by newer, wealthier white residents—is a growing challenge in many U.S. cities, Boston included. One valuable strategy for avoiding displacement is to place affordability restrictions on land values through nonprofit community land ownership strategies like community land trusts. But addressing land ownership is only one piece of the puzzle. Ultimately, sustainable communities need to have thriving local economies that provide jobs, needed services, and capital. That is the ambition of the Boston Ujima Project, which aims to build an entire local economic ecosystem that is accountable to residents. The word “ujima” comes from Swahili and means “collective work and responsibility.” The Boston effort is based on this core principle. The Boston Ujima Project envisions building out a political and economic structure centered around assembly. Individual residents, local employers, workers, investors, grassroots organizations, and faith-based organizations would form a multi-neighborhood “general assembly” that interacts with individual neighborhood assemblies, the local “good business alliance,” a community capital fund, and area institutions such as nonprofit hospitals and universities and local government. At the founding general assembly…Aaron Tanaka, founder of the Center for Economic Democracy and founding member of the project’s (unelected) steering committee, led a simulation of the proposed democratic process for planning and investing. Voting members were first segmented into neighborhood assemblies, one for each of Boston’s working-class communities of color: Roxbury, Dorchester, Jamaica Plain, East Boston, Mattapan, and Roslindale. Each neighborhood then listed “businesses we love” that were worth preserving or growing, followed by “businesses we need.” The lists stood in for what will in the future be more comprehensive neighborhood investment plans. The assembly also approved the creation of a governance structure involving a 20-person board. The board’s structure will include six people elected from the general assembly, six from neighborhood assemblies, four from grassroots partners, two from the business alliance, and two from the capital fund. Organizers worked for three and a half years to get to this point. Backed by the Boston Impact Initiative and other partners, some parts of the vision have already come to fruition. For example, last year, a set of pilot loans, totaling $3,000 to $5,000 each and lent out as zero-interest loans, made available a total of $20,000 in financing for five local businesses. The Business Alliance has also already formed, attracting 11 businesses rooted in a vision of supporting social and racial justice. (The group also identifies another 13 local businesses as allies.) This past spring, the Boston Ujima Project hired Nia Evans, who formerly directed Boston’s NAACP chapter, as its first executive director. City Life/Vida Urbana, a Boston-based community organizing group, serves at the organizational fiscal sponsor. In the future, the group aims to expand its offerings to include a skill- and time-share bank to facilitate neighborhood trading of knowledge and labor on an hour-to-hour exchange. A local currency that encourages residents to keep their money in the community is also envisioned, as is an exchange to help small business employees gain access to such services as group health insurance or workplace mediation. It’s evident that the Boston Ujima Project is still in early days, and the organizers face significant headwinds. As Perry points out, “Boston has one of the biggest racial wealth disparities in the country: In Boston, the median net worth of white households is $247,500, compared to just $8 for black households,” according to a 2015 Federal Reserve Bank of Boston report. 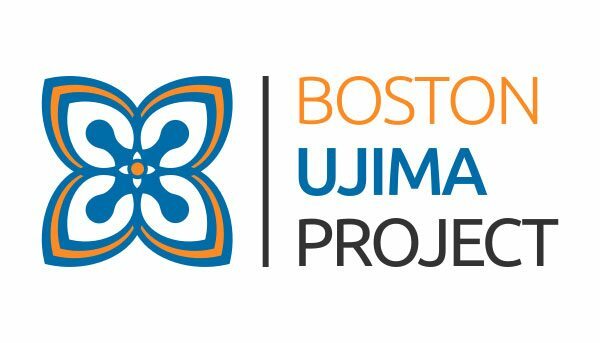 Still, future challenges aside, the Boston Ujima Project offers a promising attempt to implement a community-based approach to collective business development, community planning, and empowerment. The community-based structure enables members to draw on different models, be it a cooperative, a land trust, a community investment fund, or traditional small business and integrate those strategies to build community wealth. The business is a vehicle for achieving our goal of people using the bike as a means of economic self-sufficiency, achieving transit equity and achieving health equity. If we open a business and we work hard at this business, we can produce enough with our hands to build the kind of community we want to see. I opened up a bicycle shop not just to create a business but to create a space, the likes of which I never had access to growing up. Does squeezing Connecticut’s nonprofit safety net undermine service delivery?